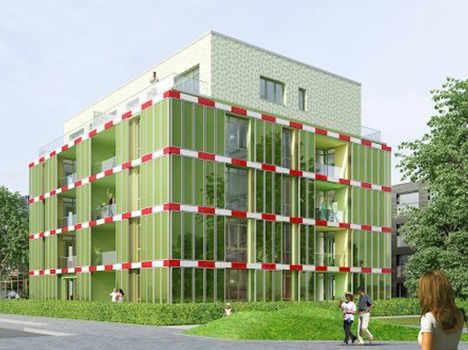 Bio-reactors and micro-algae sound like the stuff of science fiction, but this is the real deal: biomass built into panel glass generates heat and power, also acting as a responsive light and sound barrier, all in one brilliant new building in Hamburg. These same technologies are poised to forever change how we think about and approach the relationship between nature’s organic materials and humankind’s architectural creations in the future. 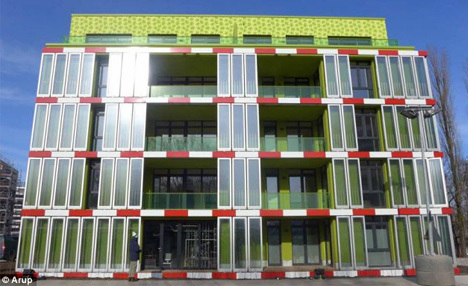 Arup has long been predicting incredible innovations in architecture, but they are also keen to show that their designers and engineers are actually working toward world-changing technologies – hence BIQ House, constructed in conjunction with Splitterwerk. Bright sunlight causes the bio-reactors to grow faster and supply more shade on demand. 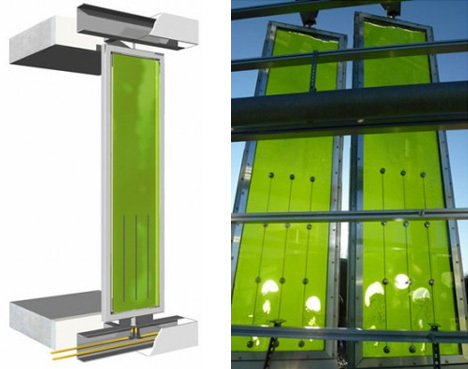 The resulting biomass captures solar heat as well, and can be harvested and used as a source of energy itself. 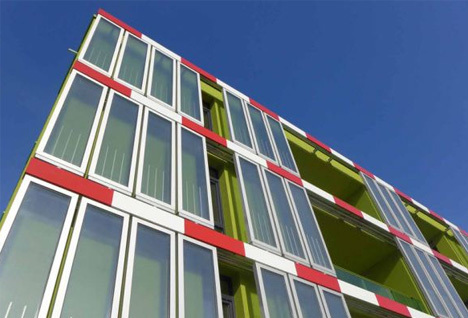 In essence, it is an architectural ecosystem in which all parts of the process are not only sustainable but multi-functional and fully integrated. 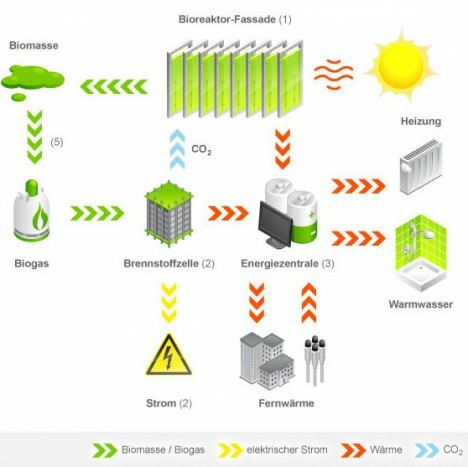 As the diagram above illustrates, the biomass can be turned into biogass but also puts out energy that can be used to heat the building as well as its water supply – solar energy is absorbed and converted or deflected as needed by these semiopaque, life-filled panels. 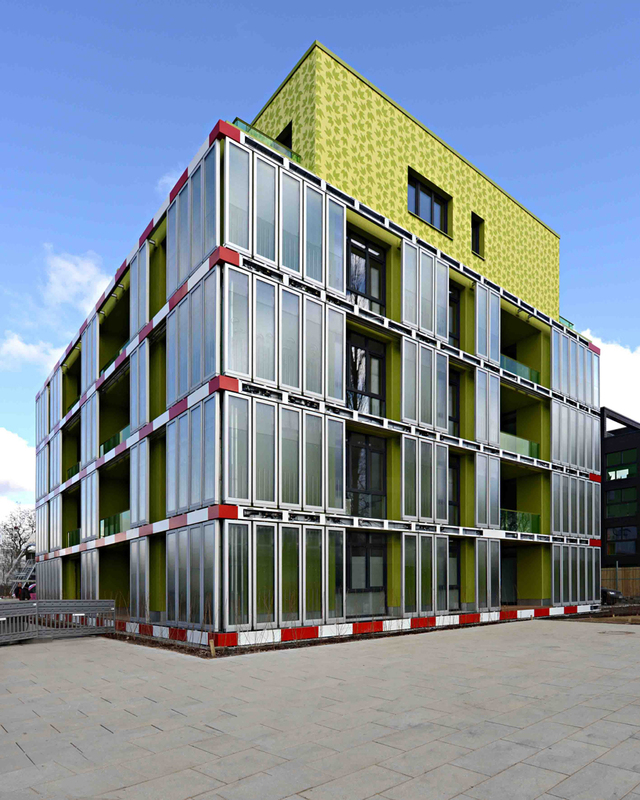 There is always talk of futuristic building technologies, but few firms are able to break new ground in some of the most promising directions. If there is to be a new ‘living architecture’ movement involving micro-climates, bio-chemical processes and responsive materials, Arup continues to prove itself on the forefront of its exploration. Indeed, this is just the beginning – a working prototype that explores possibilities and raises questions about how to integrate nature and organic processes into what are conventionally conceived of as artificial built environments. Ultimately this could be the basis for a sort of transhumanist approach in reverse (natural components added to synthetic constructions) applied to architecture, or transarchitecturalism, if you will.